Tracking time on each task on a project can help assess productivity levels across your time as well as ensure transparent billing processes. This tutorial offers a way to get the most out of the time tracking feature Due includes in the Projects platform. The timer feature is located within each task you have created for each project. 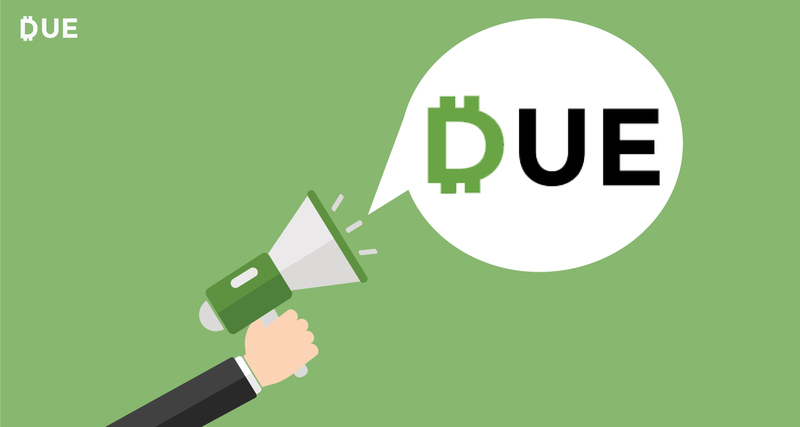 That means you can track how much each team member spends on that task as well as how much all tasks take within a project. To use the task timer, open the task. A pop-up window will appear that contains the task timer. To start the task timer, clock on the “Start Timer” button. 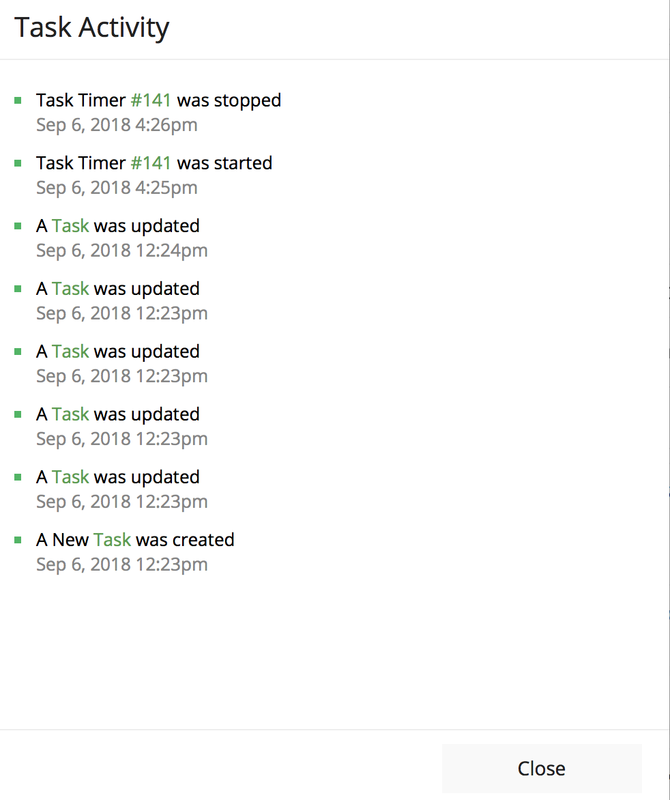 When the timer starts, you can also click on the plus sign to add notes about what is being done on that task during the period the timer is activated. To stop the task timer, just press that button again, which will now appear like a pause button with two red vertical lines. To cancel the timer, click on the dots next to the current time allotted and select “Manage.” Here, you can edit or delete the time elapse on the timer. 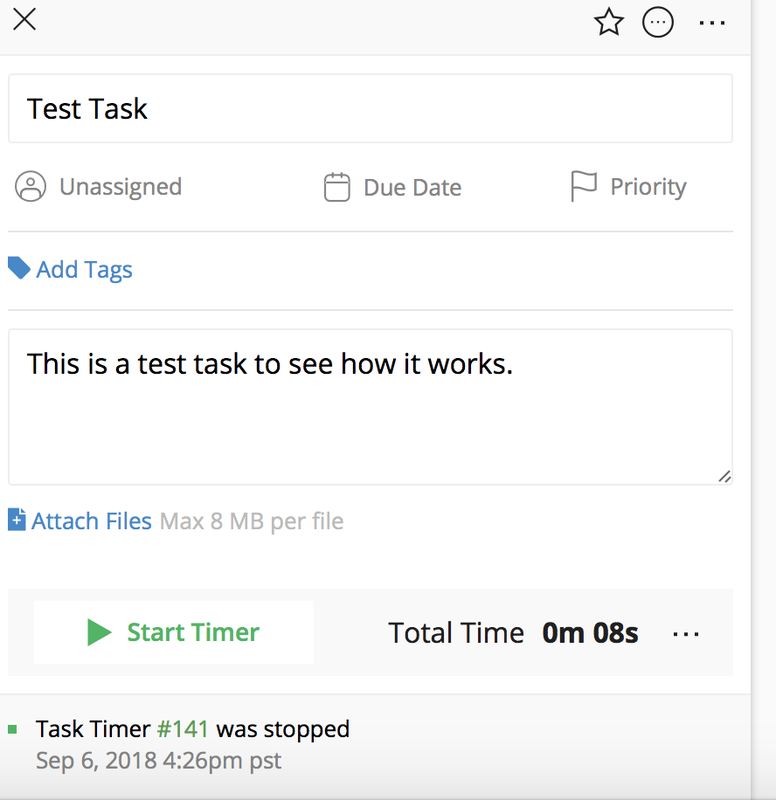 All task timers for a specific task can be found within that task by opening the task and then selecting “View Activity” on the drop-down menu found on the right side of the task designated by three dots. This will tell you the exact time each team member worked on a task and for how long. When a task timer is running, it can be seen in the top menu bar. It is also accessible on all your device regardless of which device it was started on. This allows you to start and stop the time tracker wherever you or your team members decide to work on a task. Each project team member can have one active running timer. Also, each user can only see their own active timer.